Introducing one of Walther’s subcompact models: the PPS M1. For those of you who don’t know, PPS stands for “Police Pistol Slim.” Which means, the PPS M1 is perfect for concealed carry under a simple t-shirt, or in a pocket hostler, and works great in our Walther PPS M1 concealed carry holsters. 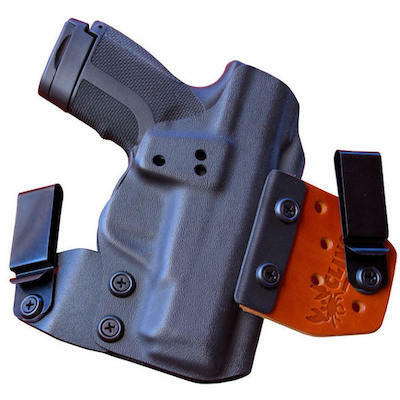 It is ergonomic, customizable, built to perform, and comes in both 9mm and .40 S&W. The PPS M1 comes with rear slide serrations that are in the distinctive Walther style, but provide a perfect non-slip surface. 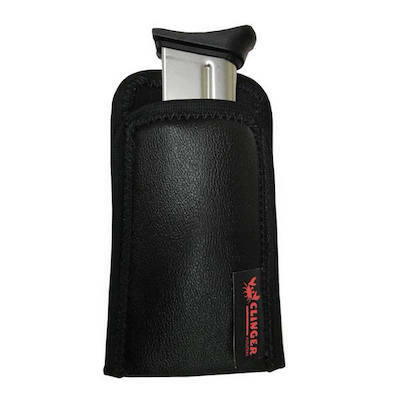 Operation of the slide can be done with wet or gloved hands via these serrations. This subcompact comes with low profile three-dot combat sights resting on Tenifer coated steel slide. The Tenifer finish provides corrosion resistance, and the matte finish lends it self to concealability. The sights are perfect for easy aiming and target acquisition and low-profile won’t snag on clothing. The striker fired PPS M1 also comes with a red, striker indicator for quick cocked or uncocked inspection. When the trigger is pulled, the striker disappears signaling that the weapon has been fired. Cycling the slide returns the indicator. This pistol also comes with a loaded chamber viewpoint, also for quick inspection. The trigger is smooth and light at 6.1lbs with a short trigger travel and a satisfying reset. The trigger travel is 0.2 inches making for accurate follow-up shots. This pistol also features a drop safety. The PPS M1 also comes with a Weaver accessory rail to mount your favorite flashlight or laser. 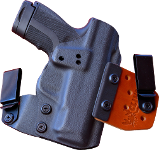 This pistol has a paddle-style, ambidextrous magazine release lever for fast reloads and a smooth slide stop that wont snag on clothing. 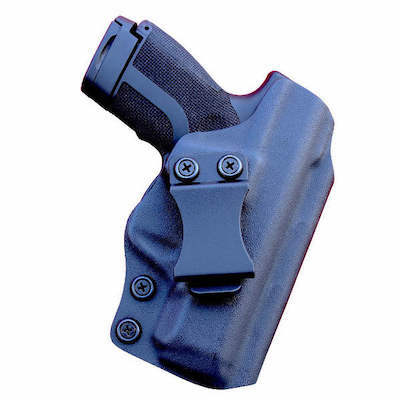 The PPS M1 has an ergonomic Walther grip that features a cross-directional grip surface and a comfortable shape. 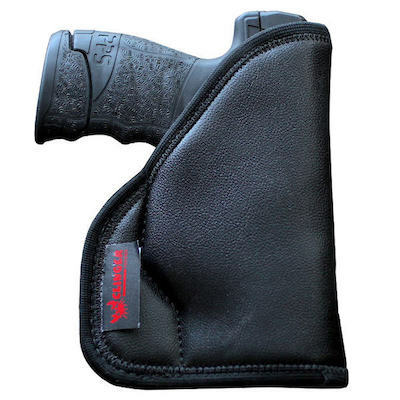 There are also interchangeable small and large backstraps to customize the grip for any shooter. 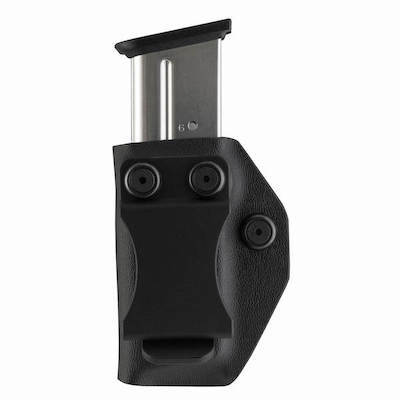 There are also three magazine options for the PPS M1: flat, for concealability; mid for comfort; and large for extra capacity. 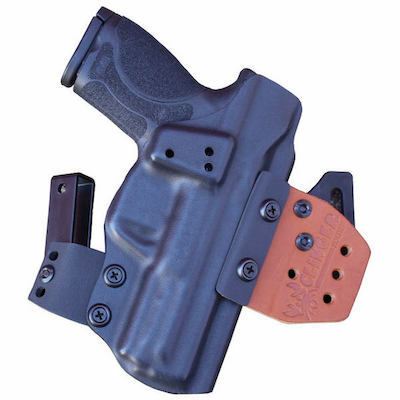 No matter what, this pistol is perfect for concealment, especially in our Walther PPS M1 Kydex holsters.